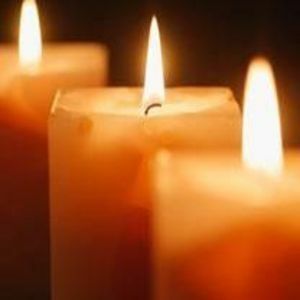 Kerry Wynne Sullivan, 52, of Cary, died Saturday, October 7, 2017 in Wilmington, NC. Kerry was born September 16, 1965 in Denver, CO to David William O'Boyle, III and Harryl Hyman O'Boyle. She was a graduate of Lakewood High School in Lakewood, CO and Carnegie Mellon University in Pittsburgh, PA. She began her career as a Professional Chemical Engineer working in environmental remediation and later devoted herself to raising her three children, teaching, and supporting the community. She was passionate about promoting education and especially loved teaching in special-needs classrooms throughout the Wake County school system. In addition, she served as an election official for the Wake County Board of Elections and has been an active supporter and volunteer for the Marching Band for the past several years at Green Hope High School, which her three children attended. She was vital to her extended family, often organizing and hosting special holiday dinners and large family gatherings. Kerry devoted herself to serving her family, friends, and community, and her passing is a deep loss, for family and friends, as well as the larger Triangle community. She is survived by her husband of 27 years, Vincent Joseph Sullivan; daughters, Kaitlin Madeline Sullivan and Tara Claire Sullivan; son, Patrick Thomas Sullivan; mother, Harryl Claire Hollingsworth; father, David William O'Boyle, III; and brother, Kevin David O'Boyle. A Celebration of Life service will be held at 2 PM on Saturday, October 21 at Apex Funeral Home Chapel, 550 W. Williams St, Apex, NC 27502. The family will receive friends immediately following the service for a reception. Memorials may be made to the American Red Cross.